Governor Carney believes we need a comprehensive approach to gun safety – one that makes Delawareans safer by directly confronting the threat of gun violence. That approach includes working with neighboring states to share data and intercept illegal weapons, helping school leaders ensure they have up-to-date safety plans, confronting the issue of mental health and gun access, and responsibly limiting the sale of military-style weapons that can cause catastrophic harm. Sign up below to receive updates on this effort – and read more about specific initiatives. Visit de.gov/ideas to email Governor Carney. 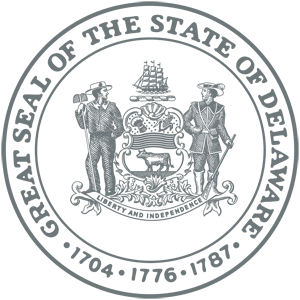 All Delaware public schools are required to have a school safety plan in place to help educators, students, and staff respond in the event of an emergency situation. Each year, the Delaware Emergency Management Agency and the Delaware Department of Education work with school districts and charter schools to update and implement their school safety plans. The agencies help schools review and update their plans, and conduct training on active shooter incidents, and other potential emergencies.Additionally, Governor Carney signed bipartisan legislation that requires new school construction and schools undergoing major renovations to include additional safety features. In February, Delaware joined the “States for Gun Safety” Coalition, a multi-state bipartisan partnership to more effectively share data across state borders, intercept the flow of illegal weapons, and engage research institutions to explore new ways to confront gun violence. 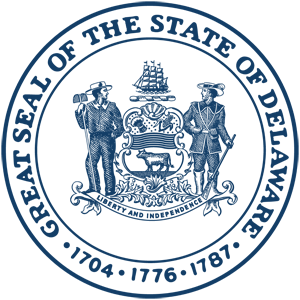 States from Massachusetts to Delaware, plus Puerto Rico, are participating in the coalition, which created the nation’s first Regional Gun Violence Research Consortium to collect and analyze data across multiple disciples on public efforts to reduce gun violence to better inform policymakers nationwide. We often hear that government should focus on enforcing laws already on the books. We agree. By working with our colleagues in neighboring states, we will do just that. Working together, we can ensure we have a common, consistent strategy for stopping violence before it happens, and targeting our worst offenders. 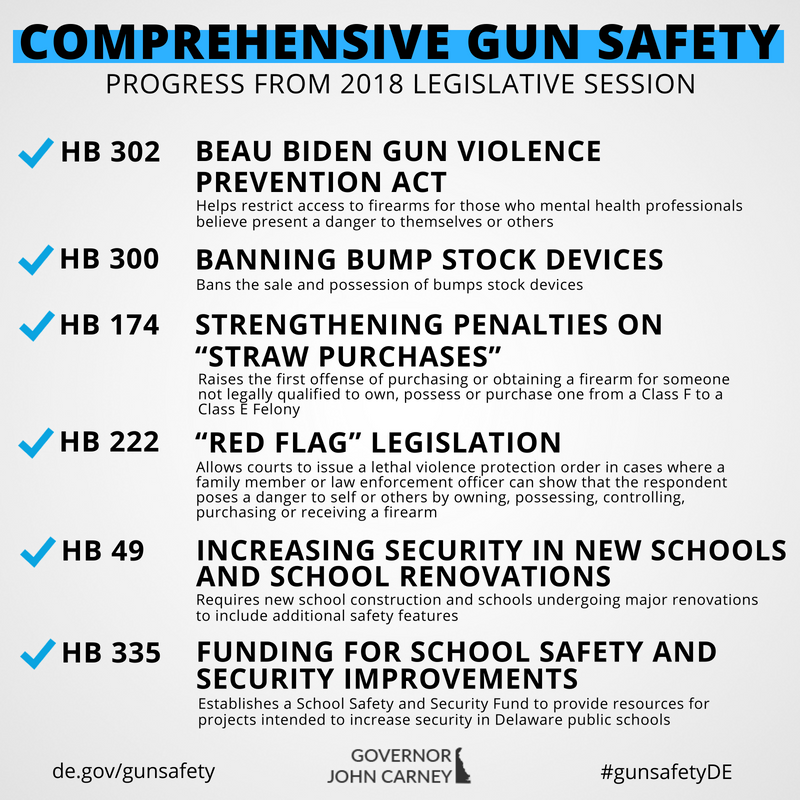 In January, Governor Carney and Representative David Bentz announced the Beau Biden Gun Violence Prevention Act, legislation to help us directly confront the issue of mental health and gun access. 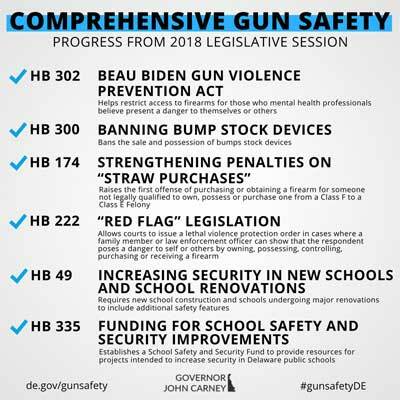 The Beau Biden Act was passed unanimously by the General Assembly, and signed into law by Governor Carney. Under the new law, perpetrators of violent crimes who have been found not guilty by reason of insanity, or mentally incompetent to stand trial, would be added to the list of individuals prohibited from owning a deadly weapon. Likewise, any person who has been committed to a hospital for treatment of a mental condition would be barred from owning a weapon. The law also requires health professionals to notify law enforcement about anyone who they believe poses a danger to themselves or others. Law enforcement would have the power to investigate, and petition a judge for an order to voluntarily relinquish firearms in the individual’s possession. The change would preserve due process rights, with opportunity for appeals, and would allow the individual to turn guns over to a personal designee, rather than the government. Governor Carney will sign into law House Bill 222, which allows a court to issue a lethal violence protection order where a family member or law enforcement officer can show that the respondent poses a danger to self or others by owning, possessing, controlling, purchasing or receiving a firearm. This is another tool to help law enforcement and our community confront gun violence. Governor Carney believes we must work together to limit access to military-style weapons, and bump stock devices, and take other responsible action that can help prevent gun violence in Delaware. In June, Governor Carney signed into law House Bill 300, which bans the sale and possession of bumps stock devices. Assault-style weapons allow those intent on doing harm to outgun members of law enforcement. And, as we’ve seen in Parkland, Las Vegas, and in many other tragedies across our country, military-style weapons can be used to carry out catastrophic acts of violence. As part of a comprehensive approach to gun safety, Governor Carney believes we can responsibly limit access to dangerous deadly weapons, while preserving the rights of Delawareans. Governor Carney Signs House Bill 174, Strengthens Penalties on "Straw Purchases"